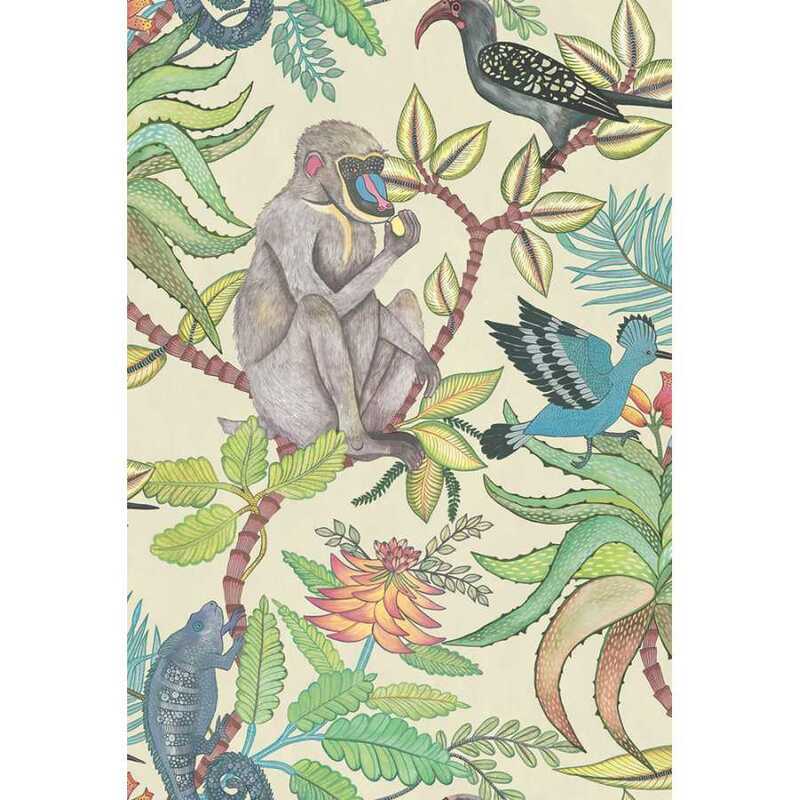 Capturing the natural beauty and atmosphere of one of the most well-known and loved African national parks, this Savuti wallpaper is a contemporary and striking choice for the modern home. It brings an exotic flair to any room in the home and has a bold, graphical design which incorporates plant life, wildlife and rich colourways. The Savuti design is part of the Ardmore Wallpaper Collection by Cole and Son. This range was conceived as a collaboration between Cole and Son and African arts company Ardmore Ceramics and the result is sophisticated, captivating and beautiful African-inspired wallpapers for the modern home. The Savuti wallpaper design brings together indigenous wildlife and plant life in a stylish and modern way. Coral trees dominate the design and both hoopoes and hornbills flying amongst the foliage. 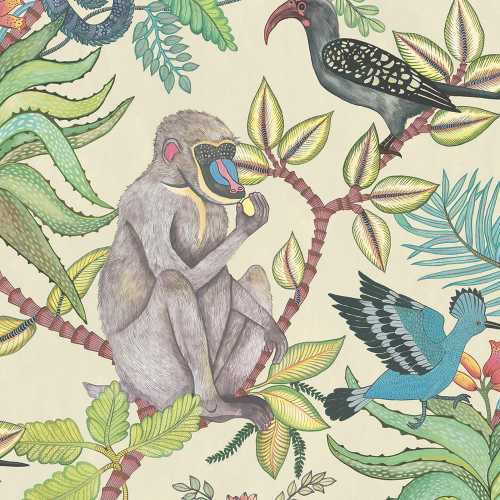 There are also characterful baboons and chameleons nestled amongst the branches bringing even more interest to the design. In the 109/1007 colourway, the background is in a gentle yellow tone wit brightly coloured graphics laid on top. 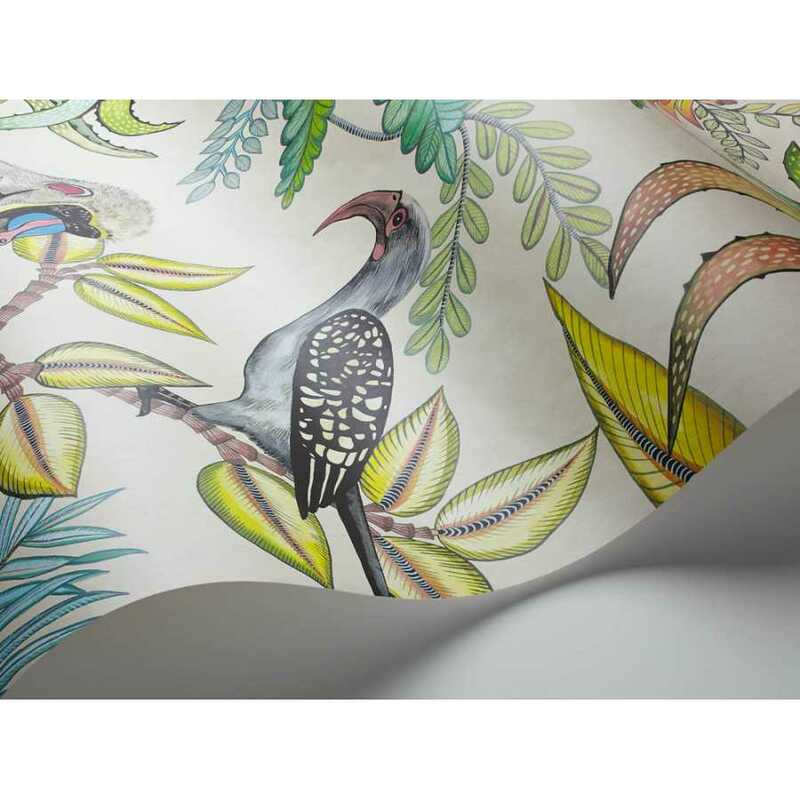 Each roll of Savuti Wallpaper measures 52cm in width and 10 metres in length. It has a half drop pattern match and a 76.2cm pattern repeat.